Super Smash Bros. Ultimate will be released on December 7 on Nintendo Switch. The game will be available with several new characters, DLC pack, Editions and bundle pack. However, Super Smash Bros. Ultimate is now available for pre-order via Nintendo.com. 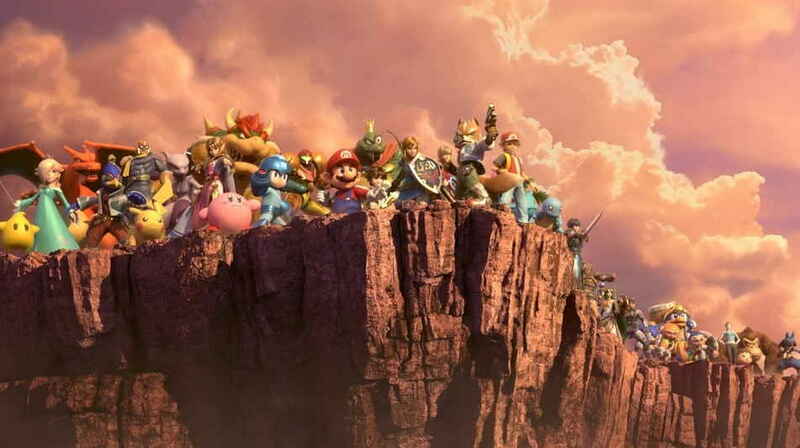 The game will include 74 playable characters including 59 assist trophy characters and Incineroar, Ken and Piranha Plant as new characters. Now lets just check out the price, editions and DLC pack. Super Smash Bros. Ultimate will be available in three different Edition packs which you can find below. The Digital Edition of the game has been priced at $59.99 in the US and $79.99 in Canada. The Edition will include only the full game. The second Edition of the game is Digital Edition which bundles Fighters Pass DLC contents including a new fighter, new stage and additional music track. All Fighters Pass DLC pack purchaser will also get a special Mii Swordfighter costume. The Digital Edition and Fighters Pass Bundle has been priced at $84.98 in the US and $111.48 in Canada. The Fighters Pass DLC will also be available to purchase separately for $5.99 and there will be a total of Five DLC packs. Super Smash Bros. Ultimate Special Edition includes Physical version of the which costs $139.99 and ca be purchased via Amazon, BestBuy, GameSpot etc. With the Super Smash Bros. Ultimate Special Edition, you will receive a Super Smash Bros. Ultimate game in a steel case and a Super Smash Bros. Ultimate Edition Nintendo Switch Pro Controller. To get the Piranha Plant characters for free you will need to go with any of the given option below. Buy the digital version of Super Smash Bros. Ultimate on Nintendo.com or Nintendo eShop before 11:59 p.m. PT on Jan. 31, 2019 p.m PT. (The game will automatically be registered to your account.) or. Buy the retail version and register the game card with My Nintendo before 11:59 p.m. PT on Jan. 31, 2019. Super Smash Bros. Ultimate will land on Nintendo Switch on December 7.